Here’s a fun fact: the Slow Food organization was created, in 1986, during a protest at the proposed location of a new McDonald’s near the Spanish Steps in Rome. Yep, that same famous Mickey D’s that is today regularly listed atop the list of world’s greatest Golden Arches locations. Though I suppose this means said protest was not particularly successful in its original purpose, it did spawn a movement that’s had many further-reaching implications. The organization — whose self-described purpose focus to “prevent the disappearance of local food cultures and traditions, counteract the rise of fast life and combat people’s dwindling interest in the food they eat, where it comes from and how our food choices affect the world around us” — has, in the past 30+ years, affected millions of eaters in over 160 countries. Any-WAY, I recently attended the Slow Wine USA Tour event in New York City, a now-annual showcase of some of the producers featured in the yearly Slow Wine Guide. 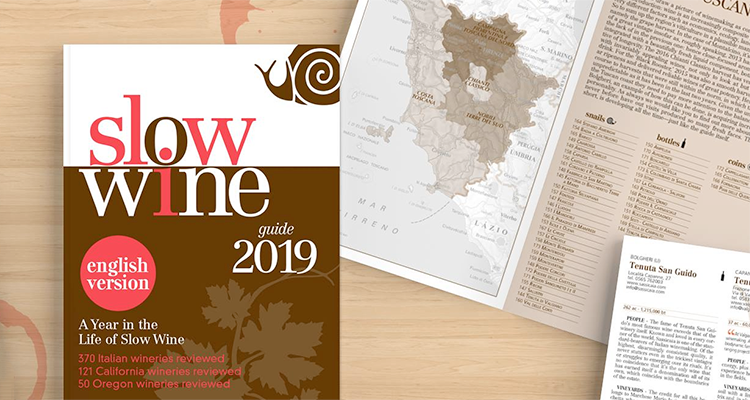 Though both the guide and event began in Italy and remain particularly focused on that country’s wine, California was added a couple of years ago, and 2019 marks the first year Oregon wineries were included. Lambrusco di Sorbara — the grape exclusively used here — is, already, light enough to be considered close to rosato on its own, but in this case, further steps were taken to create a Champagne-style rosé that’s the palest pale pink, very dry and effervescent, and perfect for a celebratory toast. Though planted in minuscule quantities on Sicily and thus not particularly easy to find in monovarietal form, Perricone is worth seeking out for lovers of tannin (e.g., Sagrantino, Nebbiolo). This one is sneaky – seemingly easygoing at first, but slowly building to extreme dryness in the mouth. Ian D’Agata called Ciliegiolo one of Italy’s “greatest but most underappreciated grape varieties,” noting its “mesmerizingly pure aromas and flavors,” both of which are demonstrated here, in one of only ~20 monovarietal wines that are impossible to dislike. Beautiful, clean and fresh. Piedmont’s plethora of frizzante, slightly sweet Freisa are mostly made for local, everyday consumption, and typically require some sleuthing to find outside the region. That said, this tasting featured not one, but two dry, still Friesa wines, showcasing this varietal’s potential to make serious wine when given the opportunity and attention. (It’s actually the only red grape vinted by 499.) Rich cherry fruit dominates the style, and it even takes well to oak, especially in the Gilli version, which was deeper and darker. Cesanese is one of those grapes that’s been making slow progress in the international market over the past several years but never seems likely to make the jump towards a more mainstream customer. 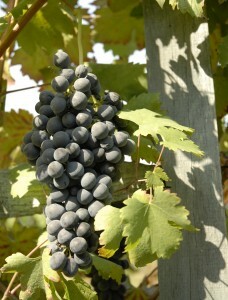 Tasting through Terenzi’s trio made from this grape, however, gives hope that it someday will. Showing a vibrant, ruby red, and featuring fresh cherry and red berry fruit alongside well-balanced acid and tannin, it’s hard to understand why anyone wouldn’t want these wines on their table. Like this review? Comment below or read my additional posts about wine.